Cynthia Jamison Jackson earned her Bachelor’s degree from Florida State University. 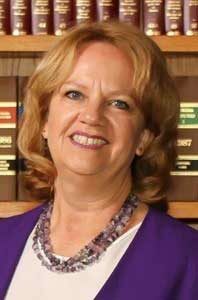 She graduated from the University of Florida College of Law in 1983 where she was Senior Research Editor of the Law Review. Ms. Jackson practices in the areas of estate planning, estate and trust administration, probate and guardianship and real estate. She is a member of the East Coast Estate Planning Council. Her civic activities include Foundation Board of the Boys & Girls Club of Palm Beach County and Adminstrative Board at St. Peter’s United Methodist Church. She has been a member of the Executive Women of the Palm Beaches since 1993 and served as President in 2000-2001. BV rated by the Martindale-Hubbell Law Directory.